Why is tuition due if my child is absent? ASAAP funds every aspect of the program (transportation, facilities, taxes, insurance, payroll, workman’s comp, snacks, supplies, etc.) based on average weekly & monthly enrollment. In order to keep the program quality, affordable and in existence, we must charge even if your child(ren) are absent. We now offer a holiday/illness/absence discount. 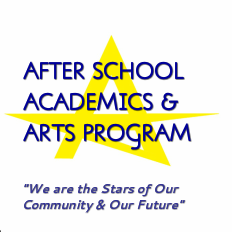 Your child(ren) can not attend ASAAP ANY day of that week(s) in order to receive the discounted rate. Example: If your child is absent during a holiday week, tuition is normally $70/week, you will be charged $55/week. Is there a registration fee discount for additional students? No. Every student must pay an individual registration fee. Is there a late fee for past due tuition? 3 days of the tuition due date. Why is there an early release and holiday fee? ASAAP is ordinarily open from 2pm – 6pm. When we are open early or for full day care during the holidays, ASAAP has to pay the team for additional hours. What is the EZCare parent portal? The EZCare parent portal is a self-service tool for parents that will direct you to your child's after school account. Parents will have 24-hour access to their child's account, allowing you to make payments and review tuition conveniently from the parent portal. Why is there a convenience fee for debit/credit/online payments? ASAAP is charged a percentage for every transaction. All convenience fees are to cover the cost of each transaction. Why do I have to complete an authorization/pick-up form? In order to keep all students safe, we require parents to inform us via the application, email, or written letter of anyone authorized to pick up students. ASAAP will close for inclement weather whenever associated school districts close or during the summer when the national weather service advises closings. We will send emails, texts, and social media posts immediately, but it is ultimately the parent’s responsibility to be aware of inclement weather closings. ASAAP WILL BE CLOSED ON DAYS THAT SCHOOLS CLOSE EARLY DUE TO INCLEMENT WEATHER. Tuition is still due on designated days unless otherwise noted.